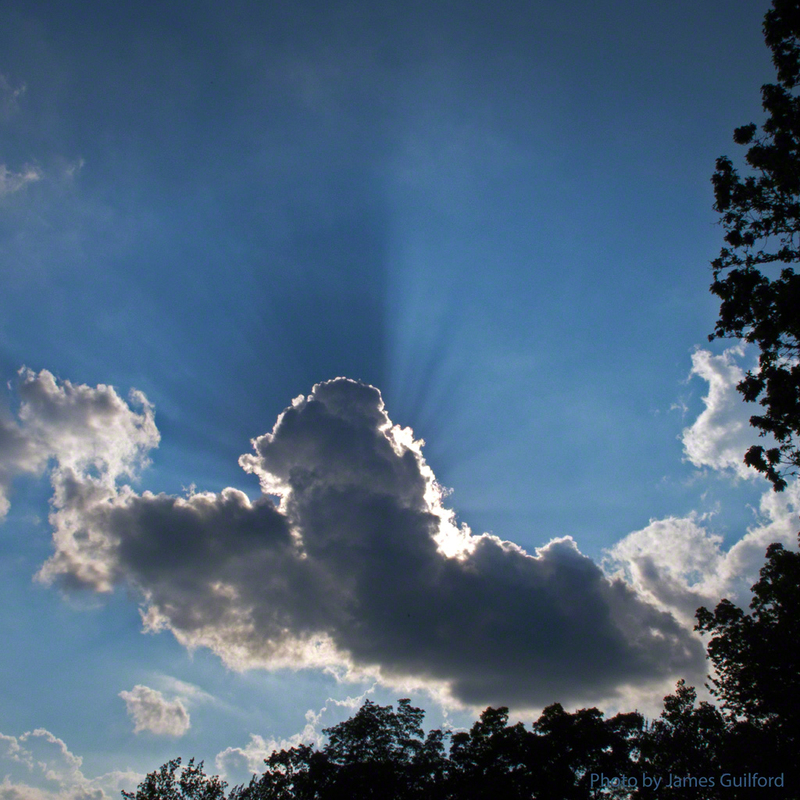 In the early evening the sun shined bright through scattered, billowing clouds. 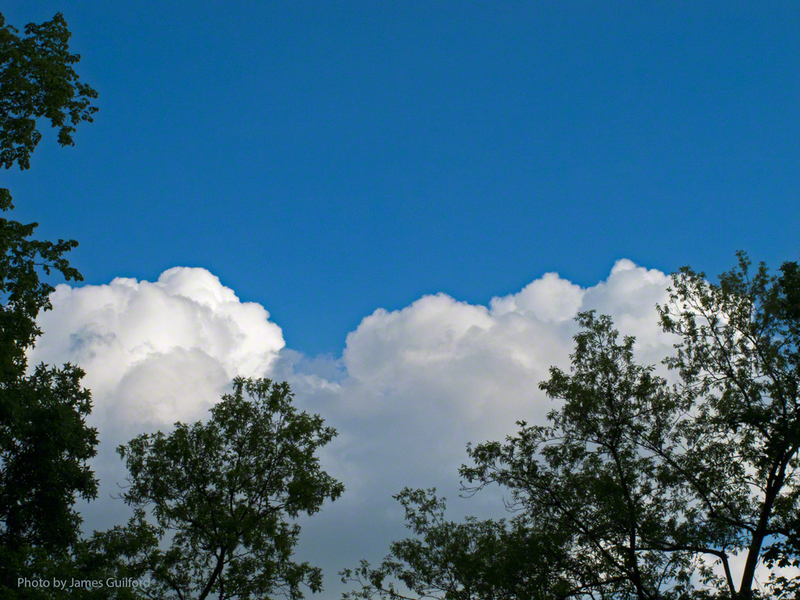 Cloud edges glowed bright white while the bodies appeared dark with lighter areas betraying layers. As light flowed through the hazy atmosphere shadows and streams, rivers of light and shadow, formed rays* high above our heads. It was a fine show for anyone willing to look up, made by clouds, and sun, and a bit of air. 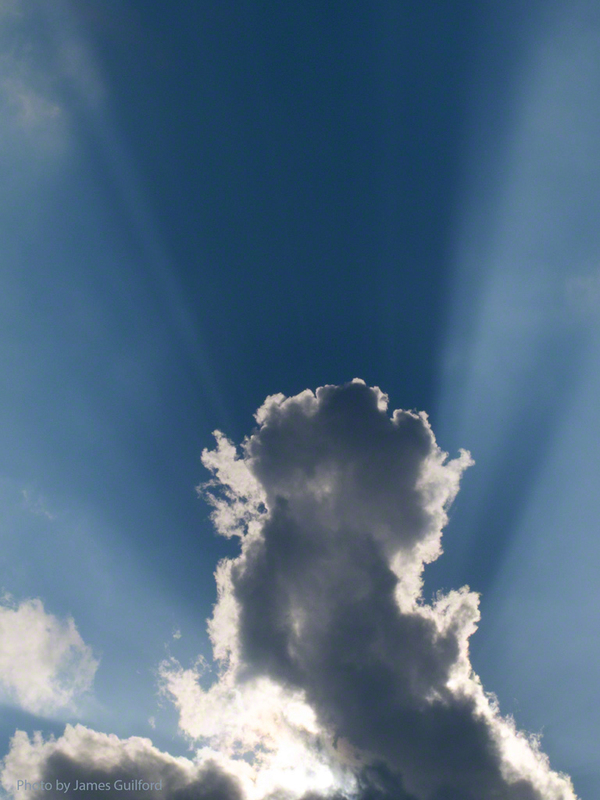 *This is the very definition of “crepuscular rays.” Go ahead, use the term, impress your friends!